While adidas’ NMD line was once the most popular sneaker on the planet, it has since fallen off considerably in all forms. Even though that may be the case, the Three Stripes has no plans of slowing down production, evidenced by this attractive City Sock Selection. Dressed in a stately combination of Olive/Khaki/White, it has some serious militaristic vibes. For a quick premium touch, its Brand With the Three Stripes heel loop and its midfoot swathe usher in leather as opposed to the usual mesh construction while its upper is made of customary Primeknit. 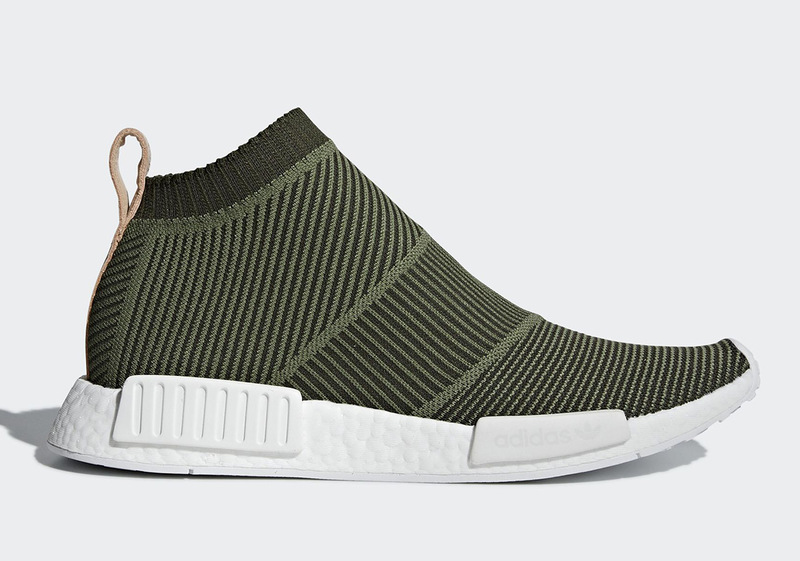 Sneak a peak at an official set of images below and mark your calendars for the July 1st arrival of this brand new NMD CS1.